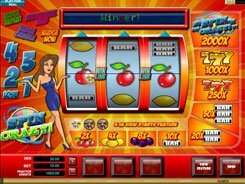 Created by Microgaming, LotsaLoot is a 5-reel progressive slot, which theme revolves around luck. 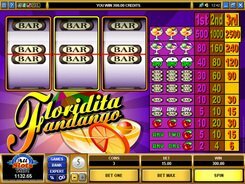 The game has a fixed coin value of $0.1 and accepts one coin per spin, so the maximum stake is as low as $2.5, with all 25 paylines covered. 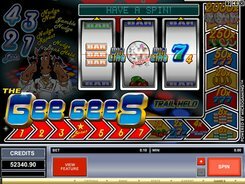 The symbols in the slot are playing cards (10 to A), clover leafs, bars, sevens and a pot full of gold coins. 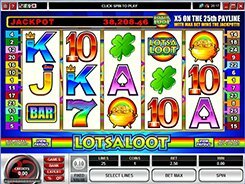 The top fixed prize worth 10,000 coins is awarded for hitting five LotsaLoot logos across any payline, except for Line 25. That is a very good award as it is, but you stand the chance to win much more cash. 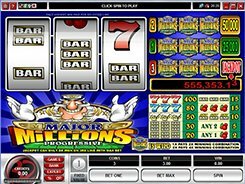 A progressive jackpot that keeps increasing with each bet placed on it can be yours if you play at a maximum stake. To take away a progressive, you need to roll up five LotsaLoot logos across Line 25. 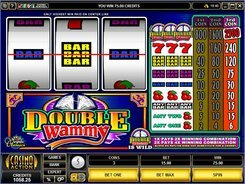 In case you are interested in scatters and free spins, you will find neither in this game. 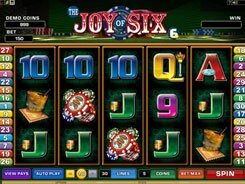 But taking into account a huge progressive jackpot, a lack of scatters and other bonus perks is not a downside at all.